← Little black dress day! Place potatoes, onions and fish in a large pan and add water until everything is just cover, then bring to the boil then reduce the heat until potatoes are ready, which should be about 15-20 minutes. Add the evaporated milk and bring back to the boil, then simmer for 30-40 minutes. Add parsley and butter before serving. Thanks for liking my recent post on raisin bread 🙂 I like the look of this recipe. As with you, it was always one of our family favourites, but I never learnt to make it. Now’s my chance! Oh wow! I had totally forgotten about cullen skink! I used to hate fish when I was little – but now love it! 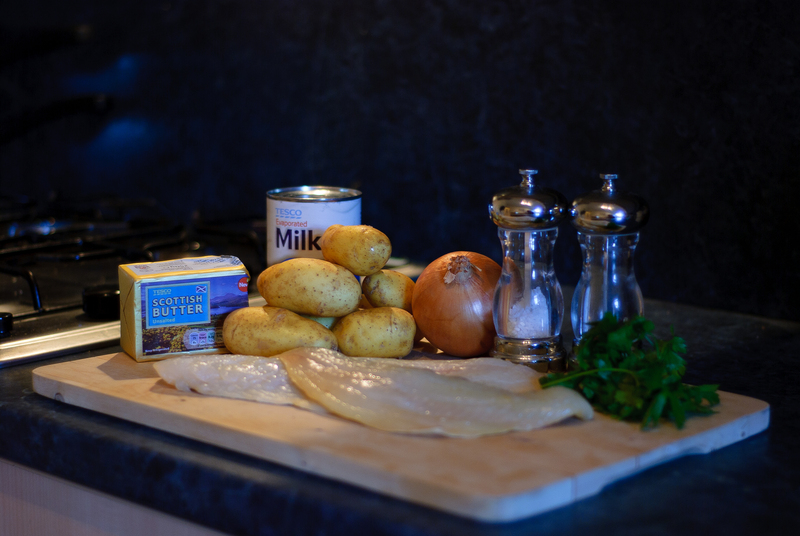 I must try this, although will have to think what fish to use instead of Haddock (not a pacific fish!). Reminds me of growing up half a world away in Leith! Now have traded Firth of Forth for the Pacific ocean! Hi! Thanks for liking my polenta cake post! This sounds really good, I have never tried it. And I am addicted to oatcakes – I could eat them with everything! Sounds delicious! Smoked haddock is a bit of a luxury here. I’d never heard of this before, can’t wait to try it out! Love all your pics! I’m proud that I actually know a little about this recipe. I remember it being on an episode of Monarch of the Glen. In the US a skink is a large garden lizard that slithers like a snake. I was skeptical but this sounds delicious. 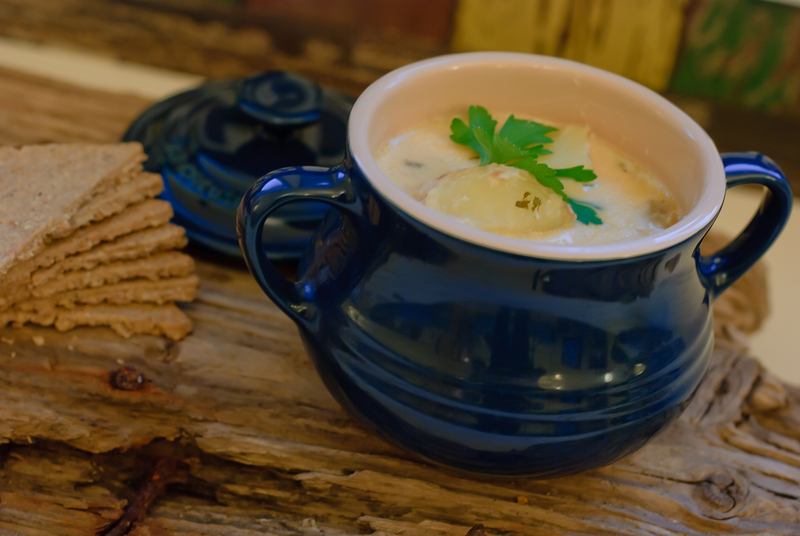 Similar to a New England chowder. This sounds a lot like one of my favorite childhood recipes of Potato Soup made with Idaho potatoes from the potato capital of the US. It’s just like my mom would make and recipes I shared with friends many years ago. Thanks for the pleasant reminder. Looking forwarding to reading more from your blog.